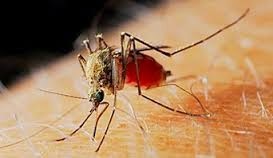 Guwahati, Jan 27 : Cases of deadly mosquito-borne Japanese encephalitis have risen nearly five-fold in five years in India's northeast Assam state as a result of warming weather and changing rainfall, health experts say. Between 2010 and 2014, the number of annual cases rose from 154 to 744, with deaths rising from 41 to 160, according to data from the Assam health department. The disease, which in 2009 was recorded in only half of the state's districts, now is seen in all of them. Doctors say climate change has played a major role in the spread of the disease, which once appear largely from May to July, but now is seen as late in the year as November, as mosquitoes survive longer in warmer conditions. Japanese encephalitis is characterised by inflammation of the brain and high fever. "Now the temperature ... which is ideal for breeding of the Culex mosquito is present almost until October or so, and as a result of this the cases of the disease are increasing," said Rabindra Nath Talukdar, a senior official of the Assam health department. "Initially it was only an upper Assam disease ... but now it has also been detected in lower Assam districts, and (now) cases have been reported from all the 27 districts in Assam," Talukdar said. Health department officials said changes in agricultural patterns may be affecting the rise in encephalitis cases. Warmer conditions have allowed farmers to grow more crops of rice each year, which means rice paddies with standing water offer a breeding ground for mosquitoes for a larger part of each year. "The Culex mosquito breeds on water in the agricultural land, and now since there is water on the field for several more months than before, it gives more time and space for the mosquito to breed," Talukdar said. Faced with a surge in Japanese encephalitis cases, the Assam government has announced measures to tackle the problem, including more careful monitoring of cases. Assam Health Minister Nazrul Islam described the situation as "a huge concern". "I have asked the senior officials of the health department to monitor the situation carefully and to report to me on a regular basis," he said. Faced with a growing public outcry over the disease's rapid spread, Assam Chief Minister Tarun Gogoi has ordered officials of the Assam health department to develop a plan to control the disease. Plans should include "setting up of an intensive care unit in each district hospital for treatment of emergency cases, along with laboratory testing units," Gogoi said. As well, "I have already asked the health department to procure laboratory testing kits for quick diagnosis of the disease, adequate vaccines and medicines for the hospitals, and also to carry out intensive fogging in the affected areas," he said. Civil society groups and activists have however questioned why such steps were not taken earlier. "The data from the state health department itself shows that the disease has taken a deadly turn over the years in the state. Unfortunately the state machinery waited for the disease to go out of control, whereas it should have taken steps to control the disease much earlier," said Sankar Prasad Rai, of the All Assam Students Union (AASU). Several influential student groups of the state, including the All Assam Students Union and the Assam Jatiyatibadi Yuva Chatra Parishad (AJYCP), have staged protests over the government's failure to control the spread of Japanese encephalitis.